As you know, James wishes you a good morning on a typical Monday but this is anything but a typical Monday. For starters, James is dead - or if not dead, at least visiting a very special lady in Massachusetts. Now that they're represented by Scott Brown in the Senate, that state is dead to me. Instead of existential musings on the inherent hostile nature of life, I'm going to talk about my trip to Disneyland yesterday and try to get you prepared for a very rough week. I almost got sunburnt yesterday while I was at Disney Land. For those of you still reading in North Dakota or the South Pole, think about that. 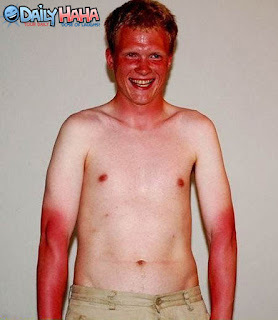 SUN BURNT. IN MARCH! I didn't actually get sunburnt, of course, because I was wearing sun block. Sun block repeals the suns waves instead of trapping them in your skin. Our planet needs some sun block. The high today in Fullerton, California is 79 degrees. That's almost hot enough for me to wear hot pants, but not nearly hot enough for me to enjoy it. This one is easy: DISNEY LAND. That's where I spent all day yesterday with my sister and nephew. They go all the time and have annual passes but I haven't been since the mid 1980s. That was a much different time for the country and for Disney. They didn't own ABC yet and were also involved in a scandal funding the anti-Sandinistas in Nicaragua. This is a photo I literally took yesterday. Look at all of these people waiting in lines to go on rides. There were a lot of older people, many kids and also teenagers. The people that were closer to my age were mostly couples experiencing Disneyland in a post-ironic manner. My five year old nephew initially thought the Pirates of the Caribbean ride was going to be too scary, but once we were all on it he realized it was pretty tame. We decided to pass on the Texas Chainsaw Massacre ride, though. It seemed scary and was based on the remake not the original. My sister experienced a lot of problems with the Disney bureaucracy and I got "the bends" when we docked after the Finding Nemo submarine ride, but in general it was a pleasant experience. I plan to bring children back there some day - hopefully my own. I have bad news. In case you didn't realize, Daylight Savings Time ended Saturday night. You've probably been living your life since then under the false assumption that time hadn't shifted. When sat down with your family to eat dinner last night at 6pm it was actually 5pm. And that wasn't your real family. Glenn's Time Tip for the day is: Set your clock ahead one hour you bozo! The rest of the world already did. I will once again be sued for libel by the Disney corporation. My sister will represent me in court and one of our defense witnesses will be my nephew. Part of his testimony will involve being scared at the Pirates of the Caribbean ride but Disney attorney Marcia Clarke will catch him in a contradiction and the case will fall apart. We'll be forced to settle out of court for an undisclosed sum and the promise that I will never again observe Daylight Savings Time. Don't worry, you can move to parts of Indiana and Arizona where they don't observe DST. awwwwwwwwww! that picture carson took of you is so cute. This was funny. I'm glad you commented on Maddie's R. Kelly post so I could post on this article. this is great. it's true, almost getting a sunburn in march is shocking, but enough north dakotans hit up their wealthy uncle's timeshare in mexico during springbreak to have experienced this phenomenon. however, what caught my attention was the picture of all the people there. standing shoulder-to-shoulder with fellow disneyland attendees? CROWDS?! the last time i was in a place so highly concentrated with other people was new year's eve when rhombus guys opened up their rooftop, allowing hoards of people to make the mistake of ringing in 2010 outside when it was well below zero. standing shoulder-to-shoulder, we were too drunk to mind or notice the difference between that and civilization because i live in a place where people aren't actually supposed to live. Hah! This article was much better than going to Disneyland or getting a sun tan!! Carson always buckles under pressure!! !